« Frightful Night in the Valley! It is finally the moment to show off your lantern! It is finally the night we have all been waiting for. 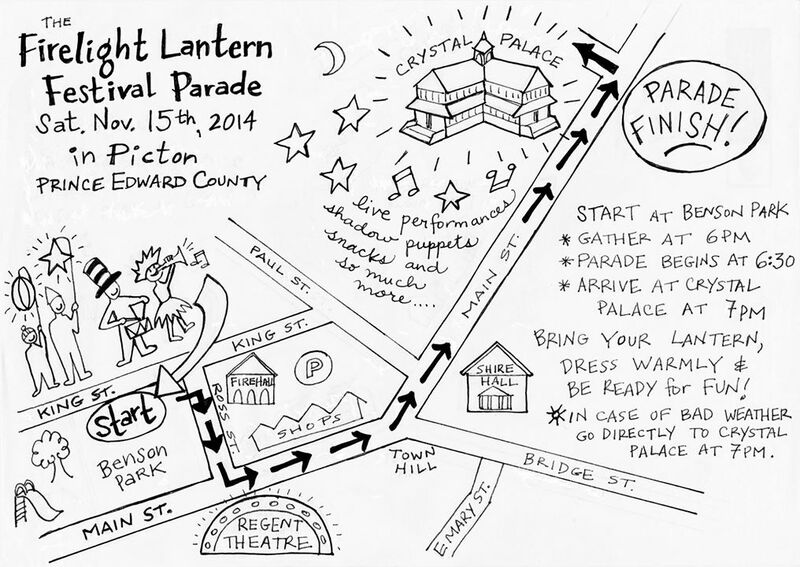 This Saturday November 15th bring your lantern creation that you made at the workshop we hosted early this Fall and meet us at Benson Park in Picton at 6pm. The parade starts at 6:30 and ends at the Crystal Palace. Didn’t have a chance to make a lantern. No worries come join the parade and enjoy the magical evening. Then at the Crystal Palace a celebration will be had with entertainment by the Lemon Bucket Orkestra who just won runner-up for best band in Toronto by NOW Magazine. When you see them on November 15 you are going to wonder why they weren’t first! This event is fun for the whole family and all ages!